In celebration of National Heart Month, I will present a workshop entitled “Heart Matters: Your Physical and Emotional Hearts In Rhythm”, on Monday, February 22, from 6:30 – 8 PM in the Briarpatch Community Room. Join me at this interactive workshop! You will learn science-based principles and simple strategies to achieve and maintain your optimal cardiovascular health, in addition to reviewing the benefits of mindfulness for the health of your emotional heart. Your physical and emotional hearts are one—they work in harmony and reflect the choices you make in the life you are living. Achieving optimal heart health invites the opportunity to make choices that support eating well, maintaining routine physical activity, and taking time each day to quiet your mind. Both the physical and emotional hearts benefit when you greet each day with the intention to nurture and nourish yourself. Seating is limited. Your pre-registration makes you eligible to win a 3-month behavior change/optimal life-management program. To register, call HeartMatters at 477-2361 or please go to the HeartMatters website at http://heartmatters.pro. Listen in to the KVMR 89.5 FM radio interview with Patti Bess on Friday, February 19 from 1 – 2 PM. 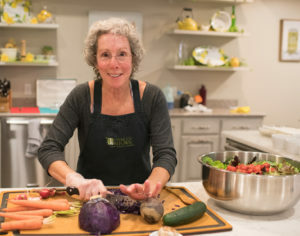 Her show, What’s Cooking?, will give us an opportunity to discuss the benefits of heart healthy eating and to celebrate awareness of National Heart Month. It’s a call-in show, and your questions and comments are welcomed. You can listen here to KVMR online broadcast.